All COUNTRY CROSSING homes currently listed for sale in South Jordan as of 04/24/2019 are shown below. You can change the search criteria at any time by pressing the 'Change Search' button below. "Don't miss the details on this one. Single level living with room to grow. Includes fully paid for professional solar power system. Others commonly pay $100-$300/month and we've only payed around $9!! 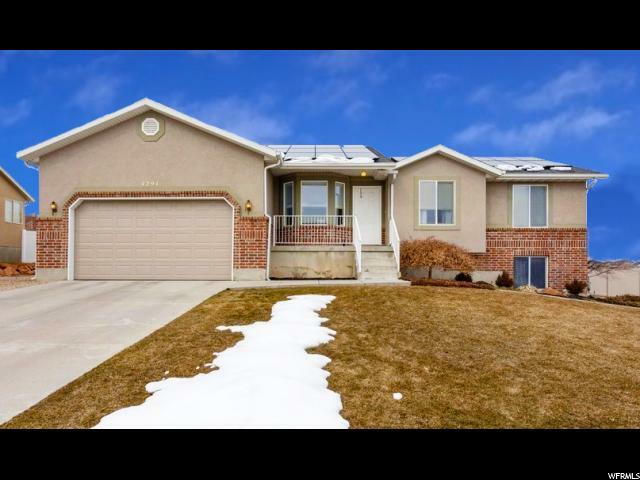 Huge fully fenced yard with sprinkler system, mature fruit trees, and berries. Room for RV or boat parking. No HOA in this neighborhood with 2 parks just steps away. Hillside Park has amazing walking trails, 11 acres of natural open space, playground, soccer fields and more. Close to just about everything you need at the District on 11400 s. Come put your finishing touches on this home with a new carpet allowance. Home Warranty included. Square footage figures are provided as a courtesy estimate only and were obtained from an appraisal. Buyer is advised to obtain an independent measurement."